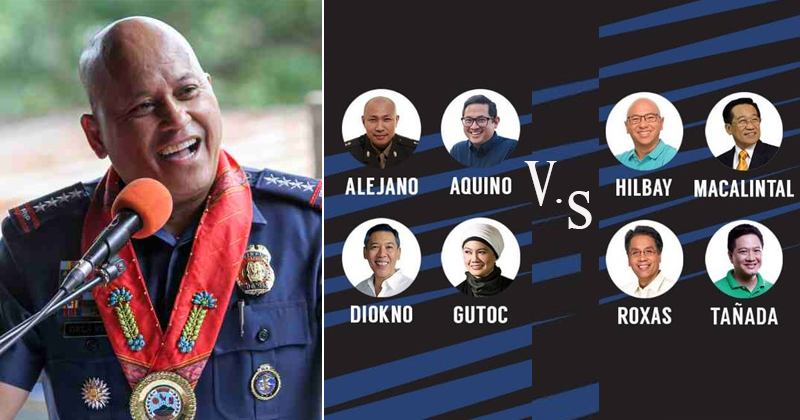 Retired Philippine National Police (PNP) Director General and now senatorial candidate Ronald “Bato” Dela Rosa has a suggestion to the opposition group Otso Diretso who fail to convince Commission on Elections to organize a debate between them and pro-government bets. According to Dela Rosa, Otso Diretso can organize a debate between themselves if they really wanted to show their intellect to the people. “Sila na lang walo ang magdebate. Hatiin nila ang otso ng apat-apat. Apat na pro at apat ang con sa isang issue then ipalabas nila ang galing nila sa debate,” Dela Rosa said. “Para mabigyan nila ang sarili nila who are really insisting for a debate,” he added. In a past interview, Dela Rosa already said that they’re busy in communicating with the voters nationwide, so they don’t have time to debate with Otso Diretso. “Baka wala silang ginagawa, wala silang trabaho kaya palaging naghahamon ng debate. Kami busy kami sa pangangampanya,” he said. 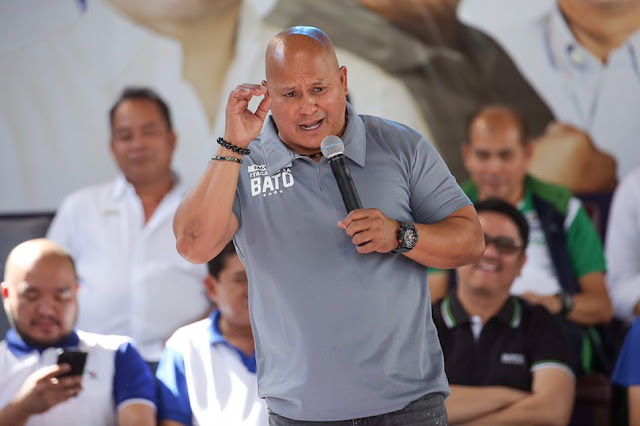 Bato also criticized Otso Diretso before for trying to imitate ‘Oplan Tokhang’ in their style of campaigning by knocking the doors of the voters. “Akala ko ayaw ninyo ng oplan tokhang yun pala ay gagayahin rin ninyo.”Dela Rosa said in his Facebook post. Otso Diretso has been criticized by the pro-government senatorial bets for insisting for debate despite having lack of time. Meanwhile, Comelec junked the request of Otso Diretso for a debate, saying that they’re already lack of time and resources to accommodate 60+ senatorial candidates. However, they said that they’re willing to help media companies if they wanted to set a debate.